The public and local customers are cordially invited to CT Comm’s Grand Re-Opening on August 23 from 11 a.m. to 1 p.m. in downtown Urbana. CT Comm, local high-speed internet and network solutions provider, will host a Grand Re-Opening ribbon cutting event of the year for Champaign County and surrounding counties on August 23 from 11 a.m. to 1 p.m. at its downtown Urbana location on Scioto Street. 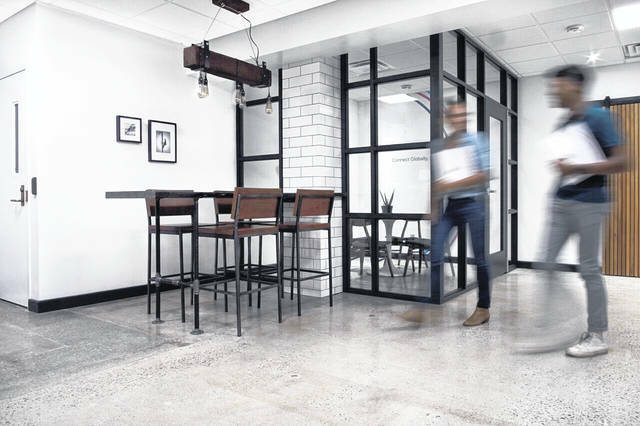 With its newly-redesigned and remodeled office, CT Comm is home to a brand-new way of business thinking: instead of reinventing the wheel, the company is recreating the scene. Stepping eagerly outside of the box, CT Comm has succeeded in staying “local” with a “livelier” atmosphere. As a provider of technology services for the Champaign County community over the last century, CT Comm’s mission is to provide reliable services with exceptional customer care. With its high speed internet and cutting-edge network solutions, CT Comm has confidently reemerged as the propelling force and best choice for connection capabilities, shipping services, and IT solutions in the area – according to a blog post on its website. With a rich history in connecting the communities it serves, CT Comm provides essential products and services, while striving continuously to find relevant ways to benefit their local neighborhoods. CT Comm is located at 126 Scioto Street in Urbana. During the August 23 event, CT Comm will be revealing its new look inside and out—a project in partnership with Bootstrap & Co. Creative Studios, also a local company. Information on this event provided by CT Comm.